Growing up in Oklahoma I never realized that other parts of the country did not enjoy the same abundance of good quality steaks as here, but in recent years it has been much harder even in the Southwest to find the same kind of beef I remember as a youngster. I am not sure where along the supply chain much of the beef seems to have lost its flavor, but I have learned to distrust many of the claims made by restaurants that they serve a great steak. Ranch Steakhouse on the north side of Oklahoma City, though, goes a long way in my quest to find steaks that live up to my expectation of the way I know they can be. I do not know if Ranch Steakhouse has the best steaks in Oklahoma, but I believe it is close. I cannot afford to go to all of the steak restaurants to find out which one is actually the best, but at Ranch Steakhouse I am pretty sure people will be satisfied that this is about as good as it gets. Even though Ranch Steakhouse is quite upscale, blue jeans are about as common here as they are at Cattlemen’s at the Stockyards. It is expensive, but I think people will consider it a bargain for the quality of meat served, especially when compared to upscale restaurants in large cities (although I say this without having much first hand experience with them). Every evening you’ll find an extraordinary menu featuring 100% USDA Certified Prime tenderloins, strips, and ribeyes being skillfully prepared and cut by hand for each guest who dines with us. Our exceptional chef-driven cuisine consists entirely of custom aged hand cut Prime Beef from Nature Source that is never exposed to antibiotics or hormones and fed on grass up until just before being processed. 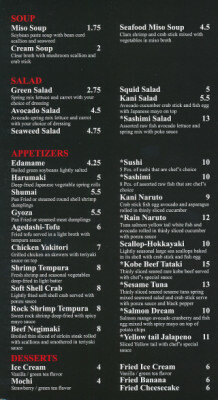 We also offer a selection of Grade 12 Japanese Wagu Filets, 100% Grass Fed Filets and Dry Aged Ribeyes. In ordering a filet the waiter informed me that there were three levels that could be ordered: the filet I ordered from the regular menu was about $50, the 100% grass fed filet was about $80 (this one is more tender), and the Japanese Wagyu was $30 per ounce (and is the most tender). The latter two are not listed on the menu, and the difference with the 100% grass fed meat is just the amount of time they are fed grass (the regular beef is grass until the time of processing). The bottom line is that even the “regular” steaks are what I consider to be a special treat, and these are the ones I am saying are among the best in Oklahoma. I ordered the grass fed filet in 2010 when it was not as expensive as it is today, and I would say my enjoyment level of both types of steak was about the same. For my taste Ranch Steakhouse is top quality, but there may be other levels of top quality available at a few restaurants in the country that are at a higher level then here. Even though I thought the steaks were top notch, I did not feel the same way about the Chop House Salad. 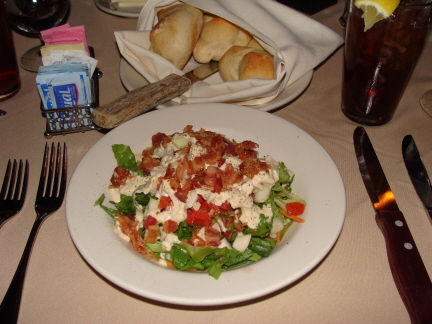 This was a good salad, but it did not seem to me to reach the same level as the salads at Boulevard Steakhouse, Cheever’s, or a number of other good restaurants. The fact that it was topped with cheddar cheese was not a good sign to me, and I was underwhelmed enough by the other ingredients to think that maybe putting cheese on top was actually an improvement. Still, it was not bad, just a little below the level I would expect in a very good steak restaurant. 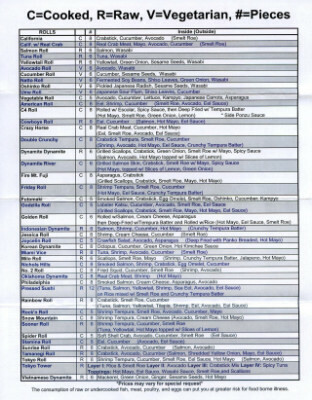 There are quite a few other choices for salads and appetizers, so I do not know if I would have a better opinion overall if I tried some of the other items. Of course steak is the main reason to come to Ranch Steakhouse. All of the steaks are “Prime,” are grass fed until just before the time they are processed, and are hormone and antibiotic free. I believe being grass fed is the most important factor in the good flavor I find in the steaks here. The menu has changed somewhat since an earlier visit I made in 2010. At this time the regular menu was not being advertised as being grass fed, but you could get grass fed beef at a higher cost. At this time I ordered a grass fed Strip at the higher cost. This cut, though, had extra fat and slightly different flavor that has since made me stick with the filet. My most recent order of a Filet was quite good, but was cut into bite-sized pieces which was quite surprising to me (but I think in a good way). I had eaten a filet on a previous visit, and this continues to be my first choice when coming here. 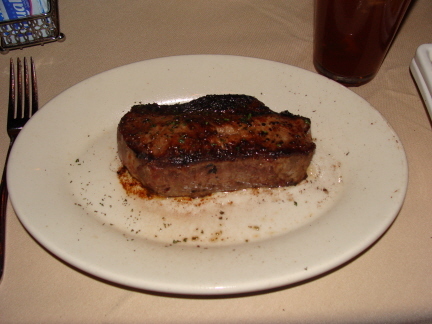 They now offer the filet at three different sizes (7 oz., 10 oz, or 16 oz.). 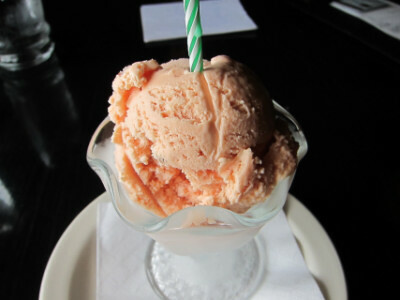 The one pictured is ten ounces (which I shared, and both of us found it to be the right size). Steaks are available with a choice of toppings for an extra charge, but with beef this good I am not sure it could be improved upon. 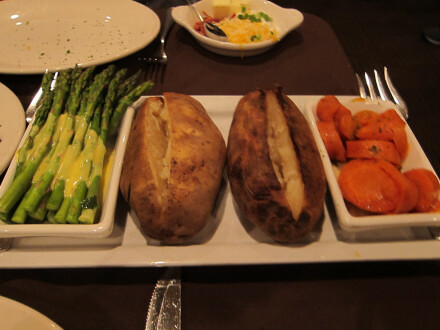 A Side Sampler of vegetables is available for $20 as of the time of this writing, consisting of two vegetables plus a baked potato. The choices of vegetables can be made from their list of about eleven items (I am not including the various types of potatoes). My plate had two baked potatoes because the waiter said the potatoes were small that evening, but normally you get one (also I think the waiter did us a favor because there were two of us). In any case, I cannot complain about what you get for your money. I have not found all of the side dishes to be equally enjoyable, though. The two in the photo (asparagus and carrots) are among the best I have tried. Probably my first choice on any visit, though, would be the baked potato. It came with all the toppings I like, and the potato is always cooked the right way. 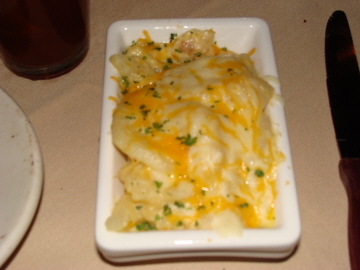 The Au Gratin Potatoes surprised me, though, by not matching what I consider to be the overall quality of the restaurant (although I felt the same way about the chop house salad). I thought the potatoes had too much garlic, too much cheese in relation to the other ingredients, and potatoes that were not crispy enough with a texture I did not enjoy (other than that it was good, of course). My choice of broccoli and carrots was on the suggestion of the waiter, and I might advise this tactic when coming here for the first time or when not knowing what you would like from the vegetable menu. 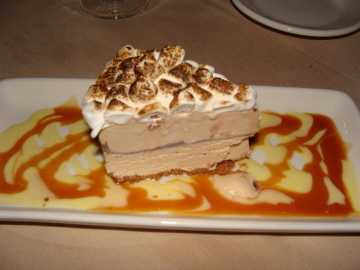 One feature that does seem to be as good as the steaks, though, is the desserts. The Dulce de Leche Cake I tried was one of the best after dinner treats I have had in Oklahoma City. I also understood from the waiter that this is the only dessert Ranch Steakhouse makes in house, so this may be the only one about which I would have such a high opinion. This particular dessert, though, was well worth the money. 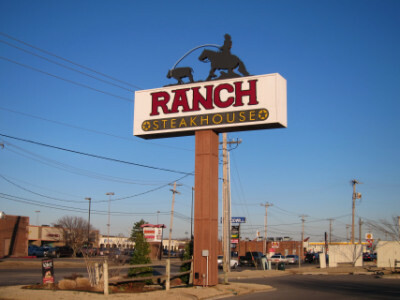 After several visits I have concluded that Ranch Steakhouse probably has the best steaks I have tried in Oklahoma City (or in the case of Red Prime, which also has excellent steaks, Ranch Steakhouse seems to be less expensive). The problem, though, is that many of the side dishes at Ranch Steakhouse do not match up to the steaks. 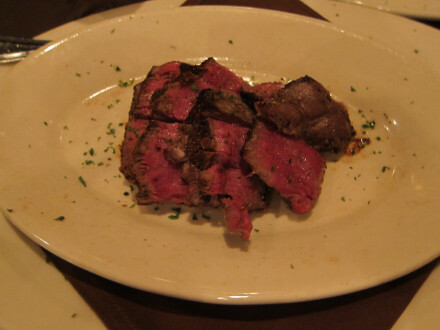 Ranch Steakhouse is my personal choice for “best steak,” but for a whole meal experience, including salad and side dishes, other restaurants such as Boulevard Steakhouse or Red Prime might be a better choice. 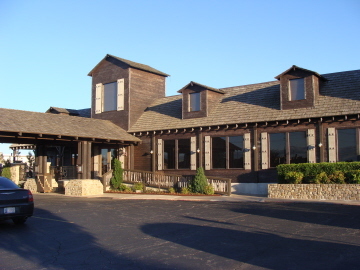 Ranch Steakhouse is located in north Oklahoma City away from the popular tourist areas (but just down the street from the popular “restaurant strip” on Lake Hefner), so it does not seem to be on the tourist radar for out of town visitors. I think, though, that it offers an excellent taste of Oklahoma steak. It is certainly popular with locals, and it usually seems that even when I go on weekdays, I end up getting one of the few tables available. I think there is good reason the locals make regular visits when they want a fine dining experience. I think reservations would be a good idea on weekends, but so far I have done fine by going and taking my chances (all of these visits were on weekdays). They have valet parking here, but for me this would not be something I would want to consider since the entire parking lot seems like a short walk to me. 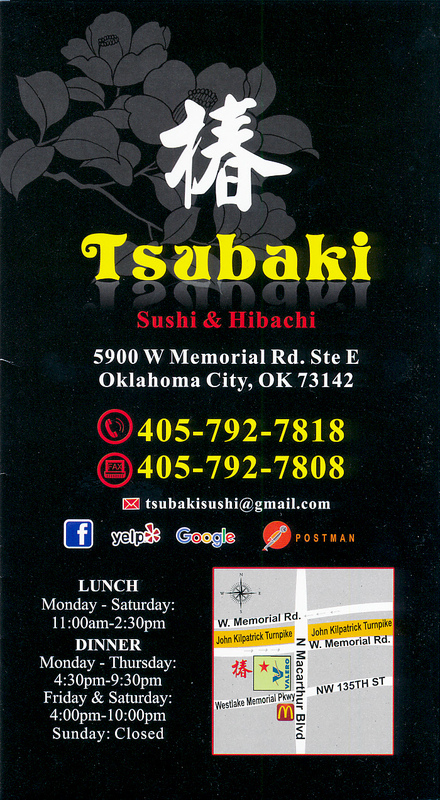 Tsubaki Sushi & Hibachi is a new member of the growing club of sushi restaurants around northwest Oklahoma City, and two things I noticed immediately about it were its spotless cleanliness and its excellent service. These are characteristics of Japanese restaurants in general, but Tsubaki seems to be better than most. 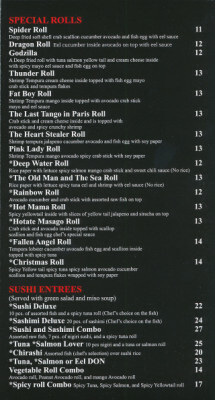 I have yet to try the sushi, which is about two-thirds of the menu. 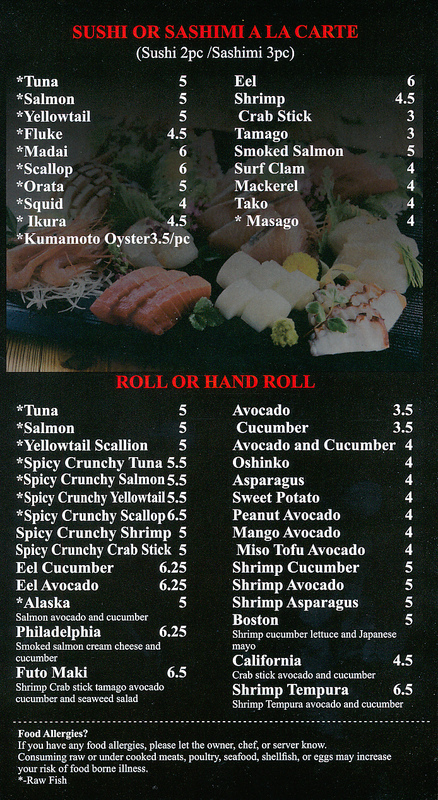 I am not a fan of California rolls and other items which make up a large part of the sushi list, but they do have a fairly large selection of sashimi. 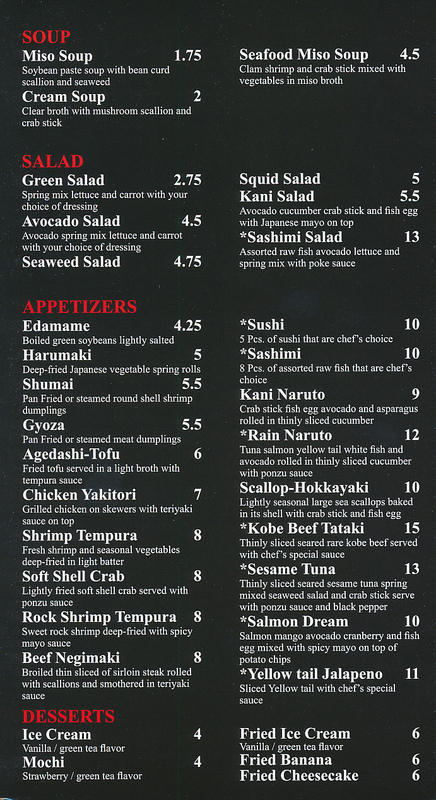 For now my comments about the restaurant are only for the food I have tried, and for anyone who wants to try the sushi I can say that the menu selection looks better than average. Like most Japanese restaurants in the city, the dressing is the best part of the Salad, and I would say the dressing here is one of the best. The Lunch Box Special is the only way the restaurant serves cooked items at lunch, but there are four choices for the way they cook the meat, and several choices of meat for each one. The one shown above is the Teriyaki Salmon, which is my favorite. I am almost at the point of saying this is better than the one at Tokyo, although at Tokyo I definitely give a higher rating to the side dishes. The side dishes here are all good, and consist of edamame, shumai (shrimp dumpling), sushi, and rice (the sushi is California roll). 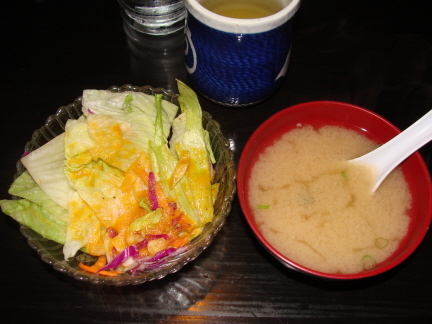 A salad and miso also come with the meal (as they have with all meals that I have ordered here). 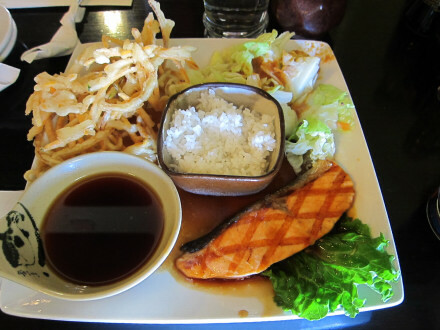 The salmon here tends toward a white color rather than red, but it is cooked very well and has a very good teriyaki sauce. I would not say the salmon is “fresh” (I think this is only truly the case in the Pacific Northwest) but it is good quality. I want to alert readers that the restaurant does not bring wasabi for the sushi, and you have to ask for it if you want it. 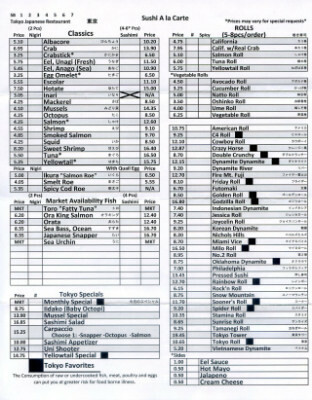 In fact, it took a couple of visits before I realized that I wanted it because otherwise the California roll (served on the box lunches) tasted bland to me. The Tofu Teriyaki is a nice change, but something I will probably not order again (I like tofu served a lot of different ways, but with just sauce it was too plain). Pork Katsu is a meat that I think is probably better than the salmon in terms of flavor, but when comparing the breading here to the teriyaki on the salmon that I ordered, the two are probably a toss-up (meaning that I thought both were good). One reason I would order the pork is that I think the breading is better than most. 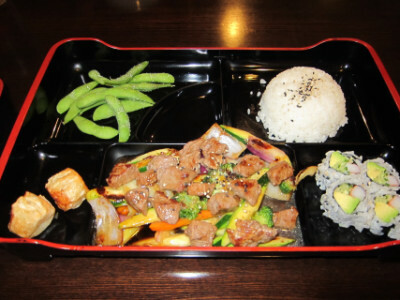 The Hibachi Steak is another excellent lunch box dish, with very good meat and a flavorful seasoning. It seems to be a good value for the money as well. In contrast, I thought the Hibachi Shrimp was disappointing in both the flavor of the shrimp and the sauce (but this could be just my taste because I usually do not order shrimp except on the Gulf coast). Hibachi Vegetables were in the middle of the scale–I liked the vegetables but was disappointed with the sauce. I would definitely get this over the teriyaki tofu, though. The dinner menu mostly has the same items as at lunch, but there is a larger quantity of meat and not as many side dishes. You can order dinner items at lunch if you wish (some things such as tempura udon are only available on the dinner menu). The Tempura Udon was not quite as flavorful as the one at Tokyo, but still very good, and well above my expectations for a strip mall sushi restaurant (I know I am repeating this phrase, but I really want people to not let the location of this place keep them from trying it). The tempura part of the dish is served on the side so it stays crisp until you either put it into the soup or eat it separately (you can also request a dipping sauce for the tempura). The shrimp tempura alone makes it worthwhile ordering this dish, and the vegetables have been different on different visits but always very good as well. The udon soup is filling even without the tempura. At other restaurants I have learned to ask for some sansho pepper to give it extra flavor (Tsubaki has it but you have to ask for it). While I was surprised how good everything was (especially the tempura), I was equally surprised that the sansho pepper is not automatically served with the meal. I am sure, though, that a lot of this has to do with its location in a suburban strip mall. When I ordered Chicken Udon it pointed out the fact that the weakest part of this dish was the soup, and without the tempura I thought the flavor fell a little flat. 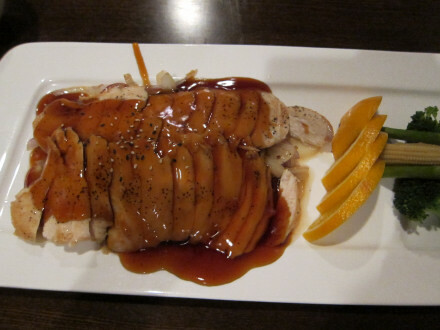 The Chicken Teriyaki had a sauce that was a little flat in flavor, but the quality of everything was excellent. Like the tempura udon it was a little expensive but not lacking in quantity. My theory is that the teriyaki sauce goes better with the salmon than chicken (and I think teriyaki was originally developed to enhance the flavor of beef). Green Tea used to be on the house but now they charge 50 cents (still a pretty good deal). It is served in a cup (when you need refills they will come around and serve you). 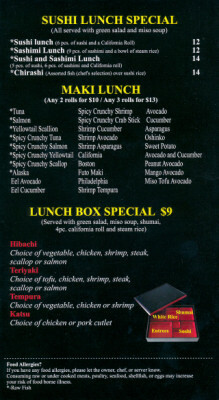 The lunch menu seems to provide some significant savings in price, but the selection of items is limited. 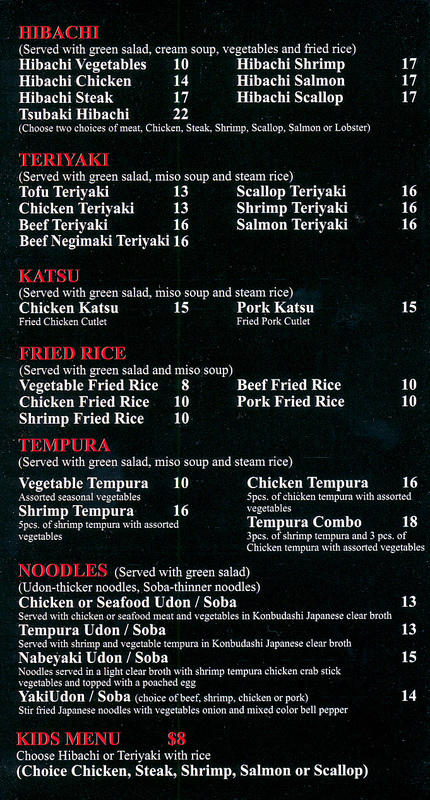 The three things I think are best, though (salmon teriyaki, pork katsu and hibachi steak) are on the lunch menu. They used to give out hot hand towels before the meal but this changed in 2015 (this is also about the time they started charging for tea). There were several changes at this time but they were subtle–they do not seem to have affected the quality of the food. 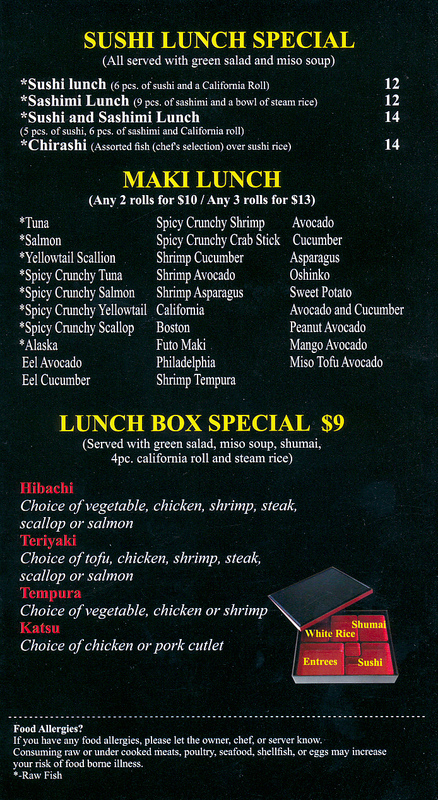 I have heard that the sushi is also good, but the California roll served on the box lunches is not something I would rush out to get. The owners have recently opened Tsubaki Szechuan Restaurant in the Asian District (next to the Super Cao Nguyen Super Market just off of N.W. 23rd and Classen). 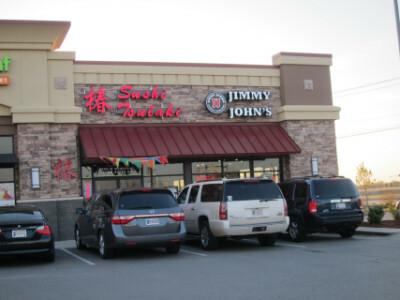 Based on my experience at this restaurant I would recommend trying Tsubaki Szechuan as well. 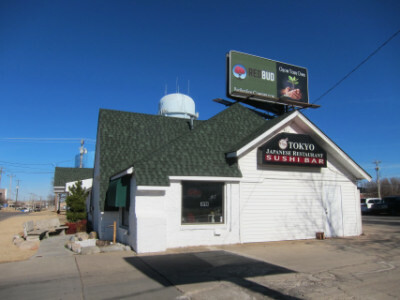 My impression of Tokyo Japanese Restaurant is that it is trying hard to provide the most authentic Japanese food in Oklahoma City. The heart of Japanese food is fish, and I know how difficult it has been throughout the years to get fresh seafood to the Great Plains (although Oklahoma has never lacked for its own version of fresh water fish). Tokyo has stuck with it, though, and now I think the state has a much better supply of fish and seafood that is worthy of the experienced chefs here. Of course, Japanese food also includes dishes made with chicken, beef, and pork, and these have always been among the best choices at Tokyo. It is really a “full service” restaurant that serves sushi and all the important dishes generally found in Japanese restaurants. I can tell from looking at Tokyo’s converted old house that it is not trying to be trendy, it is just concentrating on good food. People might be surprised how pleasant the interior is, though, from looking at it from the outside. The wood floors and Japanese decor in the dining room remind me of the better west coast Japanese restaurants. 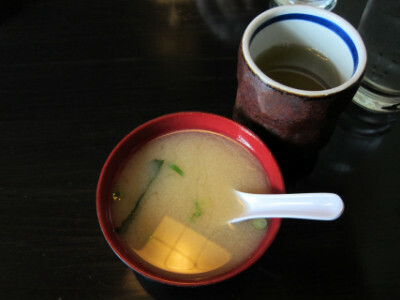 The Miso Soup is fresh, and one of the best. Nowadays many restaurants have good miso, and I almost take it for granted. Tokyo seemed to be the first one to set the standard in OKC, though, so it remains my sentimental favorite. 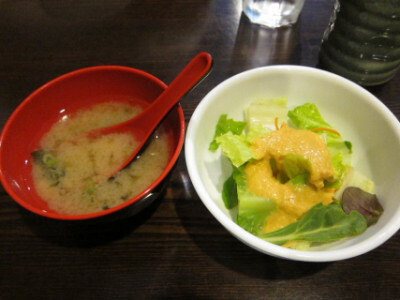 A large side Salad is also available on the dinner menu (usually at no extra cost), and the Japanese style dressing is excellent. I did not think the lettuce rated it as a five-star salad, but with the dressing served it is definitely one of my favorites. The “Happy Lunch” comes with a small serving of salad, and I find this to be one of the highlights of eating lunch at Tokyo. About 90% of my visits to Tokyo have been at lunch, when I not only experience lower prices but I can also get some of the most flavorful and healthy lunches in town. 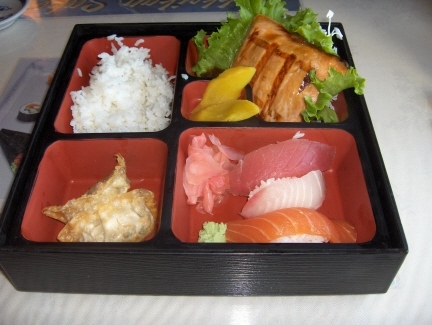 An outstanding feature of Tokyo is the “Tokyo Box” combination plate served with some of the restaurant’s best dishes. 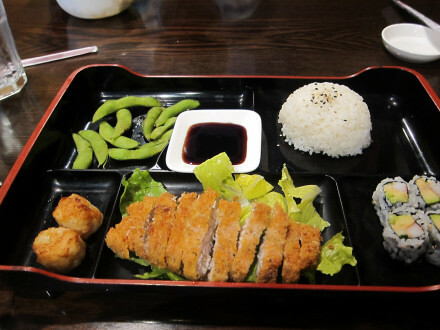 The box lunch is probably the most substantial lunch served in terms of the quantity of food, and it consists of the customer’s choice of foods from two groups (one of which has sushi as one of the choices). The sushi is whatever the chef wishes to serve, but a California roll can be ordered instead of nigiri or sashimi. The box lunch comes with miso soup, usually making it the best deal for lunch even though it is more expensive than the other plates. The “Happy Lunch” comes with one main item and kakiage (shredded vegetable tempura), rice, and salad, but no soup. This offers a cost saving if you do not want sushi, and between the salad and the kakiage this makes an excellent and satisfying lunch. The choice of lunch entrées is almost as large as on the dinner menu, and comes at a lower price. I do not know which items have a salad (although the Happy Lunch has a small salad), and other than the Tokyo Box I do not know if anything else includes miso. I would expect, though, that in some way the lunches include less food and therefore have a lower price. 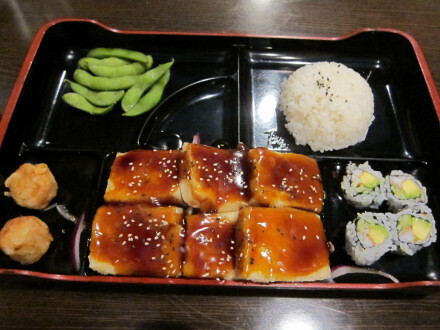 My favorite item to include in both the Tokyo Box and Happy Lunch is Salmon Teriyaki with a very thick and flavorful teriyaki sauce. Atlantic salmon is most common in Oklahoma, but other varieties may be available at times. I was told that the chef buys the best fish available at the market, so that there is not just one type of salmon that is served. Tokyo is arguably the best place in Oklahoma City to get salmon teriyaki (and this is not even counting the excellent sauce to top it off). Unfortunately I cannot say that the salmon is one of Tokyo’s best items because Oklahoma is very far from the source. 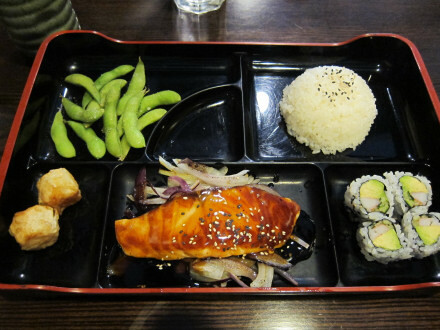 It is by far my favorite item for lunch, though, because I love salmon and Tokyo serves the best that is available. Tokyo’s sushi bar has some of the freshest offerings in OKC. 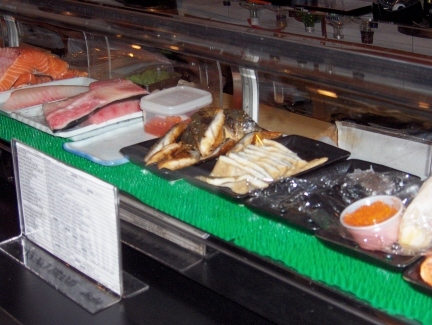 Items in center are fresh water eel and salt water eel. The chefs at the sushi bar are probably the most experienced in Oklahoma City, and I would certainly say they are among the best. To me they exhibit all the characteristics of a good sushi chef: they find the freshest fish available, they know how to prepare it correctly, and they will be honest with the customer to recommend the “chef’s choice” for the best sushi (whether or not it is listed as a special). Sushi can be ordered from the sushi menu, on combination lunch or dinner plates, or from the “chef’s recommendations of the day.” Sushi on the box lunch usually includes tuna and salmon, while the sashimi option includes a couple of additional choices such as a crab stick and octopus. 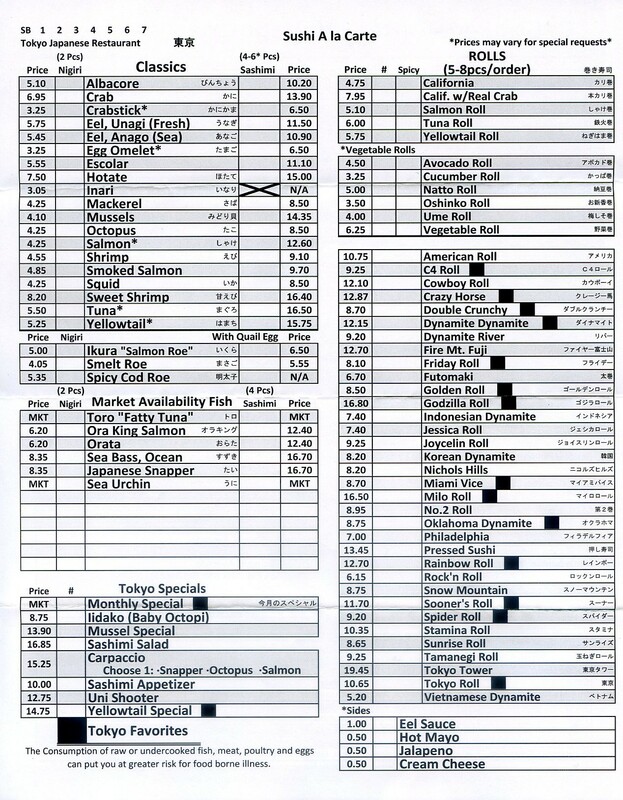 The “chef’s recommendations” (the fresher, higher quality sushi) are sometimes included on sushi plates, but it is best to ask. I have found the tuna to usually be the best sushi served in the box lunch. 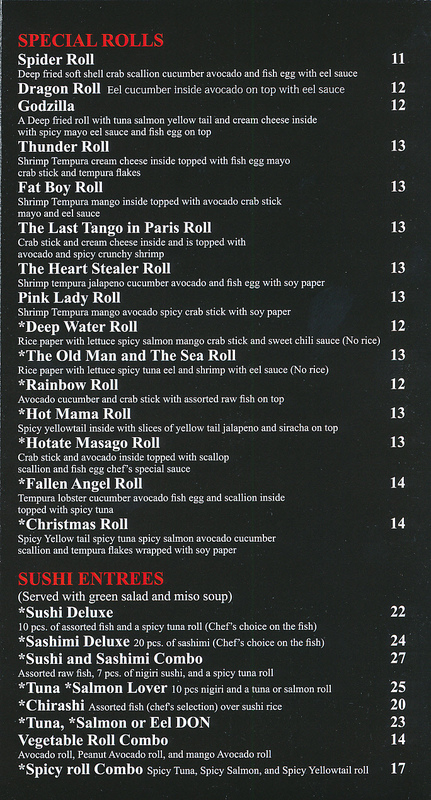 Of course the chefs here can prepare California rolls and other types of rolls, but I am not a big fan of these and would not judge a sushi chef’s talent based on these dishes. 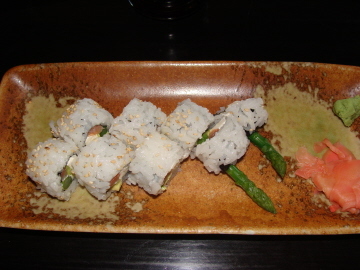 The Philadelphia Roll (made with cream cheese) was good, but not what I consider to be traditional Japanese sushi. One advantage of going for dinner is that there seems to be a more extensive sushi selection, and I usually have more time to experiment with it. 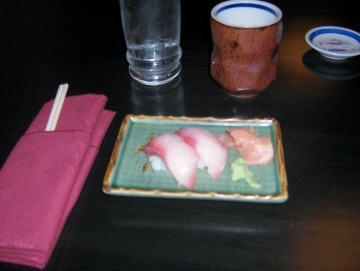 For one of my dinner starters I ordered the “Chef’s Recommendation” of Yellowtail Nigiri, which was quite fresh and just about the same as can be found on the west coast. Sushi is a food that I like but only order occasionally, and so far Tokyo has been on the top of my list of places to order it in Oklahoma City. I find Tokyo to satisfy the test for having fresh fish and knowing how to prepare it. For nigiri the rice is supposed to be as important as the fish, but I am afraid I would have to say the fish is much more important. Still, though, I would rate the rice here as being very good, and does not come apart as easily as some others served with sushi. The Salmon Sushi also has impressed me with its flavor and red color, and is one of the varieties served in the lunch box (but tuna is probably my favorite). 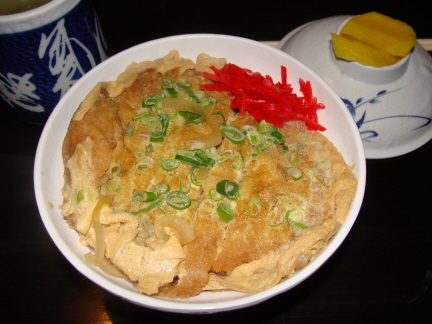 Katsu Don is a dish that is very traditional, filling, and reasonably priced. This was made with a fried pork cutlet with an egg omelet and onions over steamed rice (but it is filling even without the rice). The egg was placed around the edge of the meat (and is the lighter colored substance in the photo). A red colored ginger was added for flavor. I thought everything about this dish was very good, although the flavor was not as exciting as with some other dishes. The Chicken Katsu had one of the best sauces I have found in any restaurant, and the breading was quite good. This is one of the choices for lunch (in the Tokyo Box), or is available on the dinner menu (in the dinner Tokyo Box or as a separate item). A bowl of Tempura Udon I tried from the dinner menu was outstanding, with a dark, rich broth and good noodles. 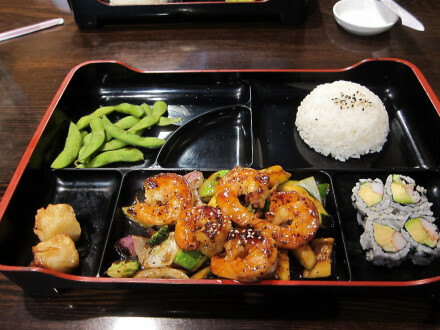 The shrimp and vegetable tempura was the same excellent quality as the one served at lunch. I have always enjoyed Tokyo’s tempura dipping sauce (if you order tempura separately or on the side). 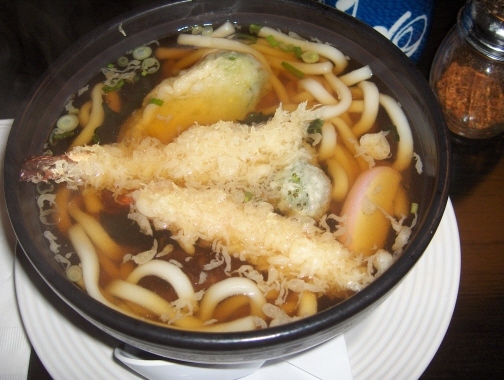 For lunch a bowl of Udon is available without the tempura. 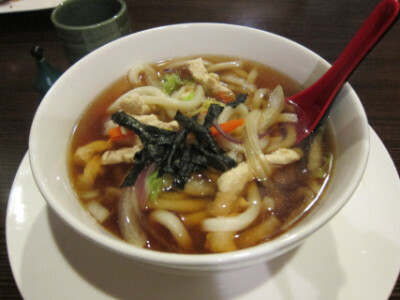 This soup is not much more expensive than the miso (if you order the miso a la carte), but the udon is more filling. Nabeyaki Udon comes with chicken, shrimp tempura, fish cake, egg, carrot, and shitake mushrooms. 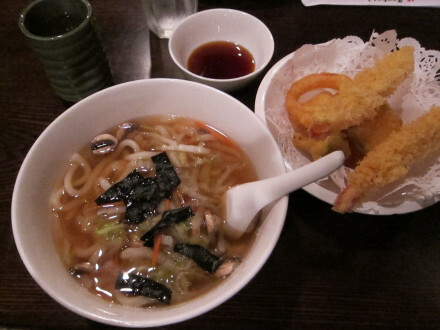 I think this dish is very “Japanese style,” and is a good alternative to tempura udon. 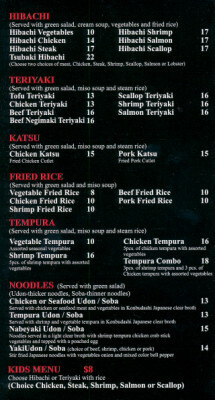 Vegetable Tempura is one of the options for lunch or dinner and is excellent. I think the plates normally offer a combination of shrimp and vegetable tempura, but it is so seldom that I find restaurants that can make good vegetables that I like to order this at Tokyo. Beef Teriyaki is possibly the best dish at the restaurant when judging it as a food reviewer (although I probably like the salmon teriyaki better just because I like salmon). The beef teriyaki seemed to be done perfectly in terms of the quality of the meat, the mushrooms, and the sauce. The sauce had a little bit of sweetness, but was not overly so as I think is done in some of the more Americanized restaurants. 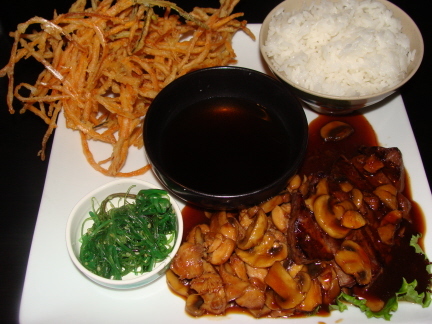 The order of teriyaki shown in the preceding photo shows beef mixed with chicken. I thought the Chicken Teriyaki was also good, but not as flavorful as the beef. The bowl in the middle is for dipping the kakiage. A small bowl of seaweed on the side provides extra flavor and nutrition. Green Tea is on the house and served in a cup (when you need refills they will come around and serve you). Because of what most restaurants charge for either iced or hot tea, I think it is a very good deal when you do not have to pay for it (and the tea here is very good). This section reveals one of my secrets–I like to come to Tokyo on my birthday because they give me a free dessert. Actually, it started out the other way around–I went to Tokyo on my birthday because I considered it a special treat, and I did not know they gave free desserts. In any case, they can always count on my business whether it is my birthday or not. 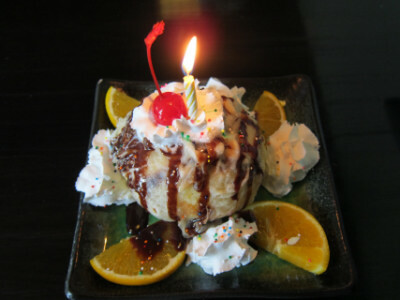 The Tempura Ice Cream is one that I particularly enjoyed, although I do not know if this is normally a “free” one (but birthday desserts are denoted by a candle on top and are always free). Sometimes, though, the regular ice cream is just as interesting such as the plum ice cream shown above (which is not one of their normal flavors). I have found all of the desserts to be more than I want to eat and sufficient for sharing (which works out great for my “birthday parties”). Tokyo is a friendly, comfortable, and moderately priced restaurant where you can feel at home, especially if you are a regular customer. The sushi chefs are among the most experienced I have met, and this is one of the key factors that makes a good sushi restaurant. I would have to say, though, that the regular menu offers the food I order most often, and enjoy the most. I do not think I can point to any single item that is the “best I have ever eaten,” but Tokyo has a consistent quality of which everything is good, and some are hard to match even in larger cities. The sushi at Tokyo has always been surprisingly good compared to other restaurants in OKC and the Southwest, and I think even though the fish here is not the same as in seaport cities, the sushi chefs know how to find the best that is available and to make the most of it. 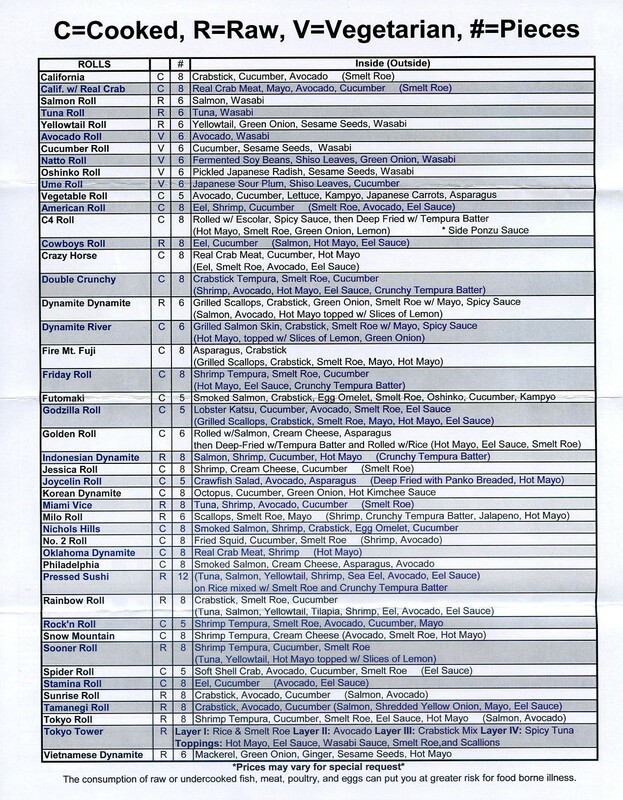 I do not place great importance on a sushi restaurant having more variety than other places just for the sake of saying it has a “large menu,” but it is good to know Tokyo has a relatively large selection. This, along with its quality, make Tokyo a winner. The fact that much of the cooked food is as good if not better than the sushi keeps Tokyo as my choice for “best Japanese in OKC.” If this ever changes it will probably not be because Tokyo will have gone downhill, it will be that someone else has the skills and makes the effort to provide the same quality. Such skills seem to be all too rare in the Japanese restaurant business.